ISLAMABAD, Feb 08 (APP):Chairman Senate Muhammad Sadiq Sanjrani Friday said enhanced regional and trans-regional cooperation would not only transform the bilateral ties among different countries but would also improve the economic prospects for the region. advantage for the regional countries. He said that decision of both the countries to enhance regional connectivity by establishing transportation and communication links would further boost the existing cordial relations at all the levels especially people to people contacts. 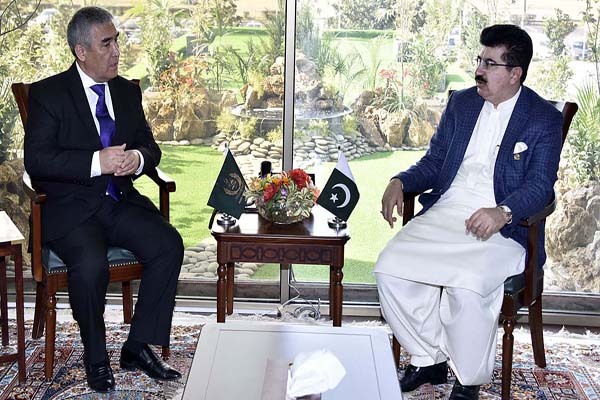 Sanjrani said that early implementation of the TAPI project would be for the benefit of both the countries paving the way for further cooperation in economic and trade. He said that active friendship group at the Senate of Pakistan with Turkmenistan would further enhance bilateral parliamentary relations between the two countries. The Chairman Senate said that both the countries could also collaborate for similar stance on international issues.